Key Control Systems - Reed's Locks and Access Control Systems, Inc.
Key Management, AKA “Key Control” is a vital part of security for all businesses. 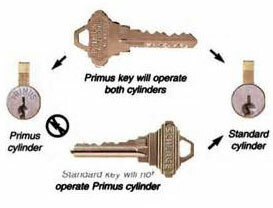 Key Control starts with keys that cannot be duplicated except with restrictions. Reed’s has a system that is just right for your facility, small or large. Our current clients include hospitals, senior care facilities, schools, multi-office suites, apartment complexes, retail stores and more. 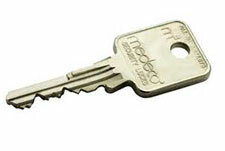 Key control is also essential in the arena of landlord/tenant, and similar applications. When a tenant vacates and returns keys, you know additional keys were not made. At that point, if all keys have been returned, there is no need to rekey that lock. Key control options are applicable to many different types of locks. For example, all types of building entry locks, padlocks, cabinet locks, cam locks, showcase locks, elevator switches, garage door switches, alarm key switches and more. These products provide a higher level of security than conventional locks and keys. A key that has the conventional key cuts plus additional side milling cuts. Together they make these keys impossible to duplicate and the locks virtually impossible to pick. 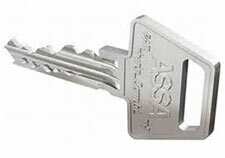 Reed’s is an ASSA Certified Service Center, factory-authorized for all ASSA products. This key has the conventional key cuts, plus additional side milling cuts. Together they make these keys impossible to duplicate–and the locks virtually impossible to pick. One advantage to using this system is that it will retrofit most widely-used Schlage brand locks and cylinders. Leads the market in patent-protected small format interchangeable core, large format interchangeable core, conventional mortise, rim, key-in-knob cylinders to retrofit virtually any door. All of these cylinders can be operated by one key. The X4 has a patented key control through 2027.